Send us your comments, pictures and videos by tweeting us, emailing us or sending us a message on Facebook. The industrial action affected thousands going to Blackpool for the Illuminations switch-on. We'll be back at 06:00 BST on Monday with all the latest, news, sport, travel and weather. Is there anything you'd like to tell us about? You can get in touch on Twitter, on Facebook or by sending us an email. 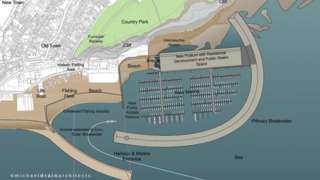 Developers are promising Hastings a golden future, with a new harbour and marina bringing hundreds of millions of pounds to the town. Two men from West Sussex have been jailed for smuggling sub-machine guns into the UK. 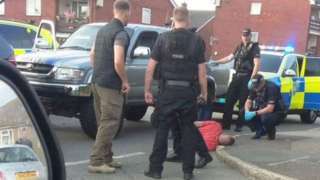 Video caption: Two men from West Sussex have been jailed for smuggling sub-machine guns into the UK.Two men from West Sussex have been jailed for smuggling sub-machine guns into the UK. A father and son say they were unable to respond to police orders to get down for medical reasons. We've been out to meet some of the people who regularly contribute to our #PhotoOfTheDay. Catch our films starting next week. The coastguard says a shipwreck could be to blame for the toxic mist which forced coastline evacuations in East Sussex last weekend. After staff walked out on the trains today, the RMT Union will be doing it all again on Monday - it's part of the ongoing dispute with Southern over the introduction of driver-only operated trains. 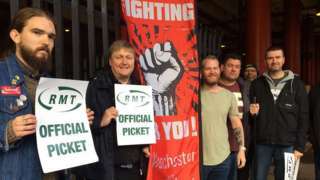 Video caption: The RMT Union is striking on Friday and Monday as part of the ongoing dispute.The RMT Union is striking on Friday and Monday as part of the ongoing dispute. Former head of the Roman Catholic Church in England and Wales has died aged 85. 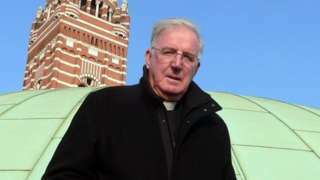 Cardinal Cormac Murphy-O'Connor, former Archbishop of Westminster and Bishop of Arundel, has died, the Catholic Church says. Footage of a fatal accident, shot by a motorcyclist who died, has been released by Sussex Police in a hard-hitting road safety message. Developers put forward a £500m scheme to build a harbour in Hastings and create 1,000 jobs. The Department for Work and Pensions has apologised to a terminally-ill man, after writing to him twice in a month, asking him to prove he qualifies for benefits. Expect some sunny spells this afternoon with the odd scattered shower. The Brighton and Hove Albion chairman has expressed his disappointment at failing to sign an additional striker for the club. The Seagulls had hoped to bring in Tottenham striker Vincent Janssen, who Spurs bought for £17m last summer, on loan but the 23-year-old Netherlands international turned down the move. In an open letter to supporters, Tony Bloom said the club's recruitment team worked tirelessly throughout the summer to identify targets and prepare the ground for the transfers window, which closed last night. But he said "fortune did not come our way". Talks for Deportivo La Coruna forward Florin Andone and Fiorentina striker Khouma Babacar also broke down. However Newcastle goalkeeper Tim Krul did arrive on a season-long loan. Tony Bloom said they had scored "many excellent signings". The club was promoted to the Premier League last season. Figures obtained by the BBC show an increase of more than 60% in the past three years. A cruel trade in exotic pets is threatening the very existence of the orangutan, but an Uckfield charity is doing all it can to save these creatures from extinction. Visitors to the Sussex coast are still risking their lives at the County's famous chalk cliffs, according to the National Trust. It took National Trust volunteers 15 years to restore an area of woodland at Sheffield Park. To celebrate, they've installed a sculpture trail. Video caption: Artwork has been installed to celebrate the restoration of a patch of woodland in Sussex.Artwork has been installed to celebrate the restoration of a patch of woodland in Sussex.